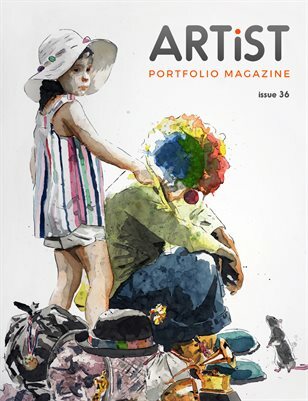 Artist Portfolio Magazine is an independent art magazine that features both emerging and professional Artists from various parts of the world. Each issue of Artist Portfolio Magazine showcases a small portfolio of art with contact information and links to each Artist's online presence. Please contact the Artists directly if you have an interest with or wish to become a collector of that Artist's artwork.